Welcome to the Kid Governor® Student Action Resource Center! difference in our communities. In fact, it is our responsibility to be active participants in our society in order to make it better! 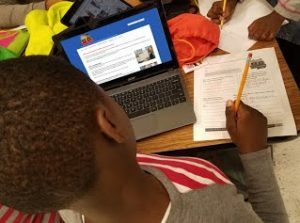 Whether you’re running in a Kid Governor Statewide Election, voting in the election, or heard about Kid Governor through the news, the following resources will help you think about community issues you care about and take action. Click on a questions below to learn more! How do I learn more about a community issue? We want to know! Email us at info@kidgovernor.org to let us know what issue you care about and what you’re doing to make a difference. Perhaps you will get a shout-out on your Kid Governor’s blog. Students across the country are making a difference on issues that are important to them. 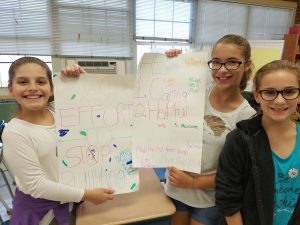 Check out what these students have been up to! 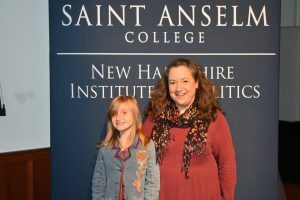 Meet Evelyn, a candidate in New Hampshire’s 2018 Statewide Election and a member of NHKG Lola’s Executive Council! Evelyn ran on a platform on helping those in poverty in 2018 and has been making a difference in her community ever since! Recently, she started a clothing drive at her school that collected over 700 items to donate to those in need in the state of New Hampshire. Because of her efforts, New Hampshire Senator Maggie Hassan named her the Granite Stater of the Month for January 2019.